Saison: the archetypal farmhouse beer style. Barry: the archetypal Aussie farmer (well, at least according to the brewers at Holgate). 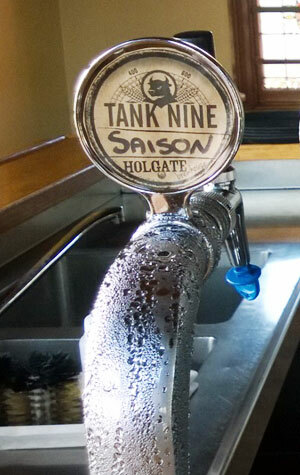 As part of its prolific Tank 9 Series of releases, which started in 2014 and make use of the brewery's smallest remaining fermenter, Holgate have produced their first saison that takes inspiration for its name from the classic Belgian beer, Saison Dupont, and gives it an Aussie makeover. Designed to provide some spritzy summer quaffing, the cloudy yellow offers up "warm spice (think white pepper and clove), zingy citrus fruit and hints of caramelised banana", say its creators. To taste, they reckon you can look out for grapefruit zest supported by classic Belgian spice and tangy, lemony hop flavours and a dry, slightly mineral finish that is "incredibly refreshing". We're told there will be a larger batch of Gate Series Saison – a different version – arriving mid-March too.